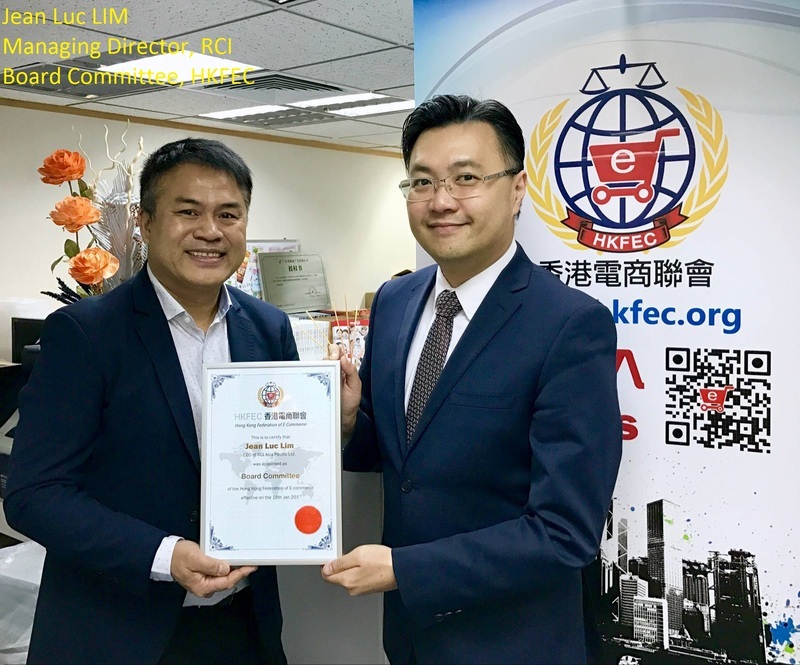 On 18 Jan 2017, Hong Kong Federation of E-Commerce (HKFEC) is pleased to announce that Mr. Jean Luc Lim, Managing Director of Retailing Consulting & IT Innovations has accepted our appointment for HKFEC’s Board Committee. Mr. Jean Luc Lim – Managing Director of Retailing Consulting & IT Innovations. Realizing the lack of IT expertise in Asia Pacific’s luxury retail industry, Mr. Lim established RCI in 2010 with a mission to offer quality European quality technology and proficiency, combined with local knowledge and awareness. In merely 6 years, RCI has gained the unwavering trust of the most prestigious international retailers including Gucci, Fendi, Valentino, Céline, Bottega Veneta and Godiva Chocolatier, Estee Lauder Group, L'Oréal Group, to name but a few. As a leading Retail Consulting Firm and IT Solution Provider in Asia Pacific, RCI specializes in superior IT architecture design, end-to-end project implementation, and managed services for international Luxury Retail Industry, the pinnacle of all retail business. Jean also bears over 20 years of Senior Management Experience in Information System & Technology, with notably 10 years of experience in the LVMH Group in Europe and APAC. Mr. Lim was formerly the IT Regional Head of the LVMH Group who managed more than 30 luxury brands in the Asia Pacific Region. Jean with his background and professional skills, is delighted to share his thoughts and ideas in the E-commerce industry. Please join me to give the warmest welcome for Jean to be our new member!